A reckless driving charge in New Jersey is usually at the discretion of the police officer. Often a person who charged with reckless driving may feel powerless to do anything to contest the charge. 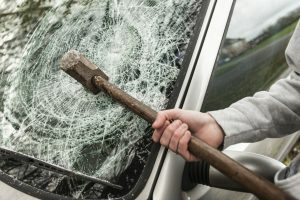 Given that a conviction for reckless driving can result in jail time and suspension of your driver’s license it can be a potentially serious situation. However you do not have to simply accept a reckless driving charge. There are many strategies that a skilled and experienced traffic defense lawyer can use to help you avoid the most serious penalties. 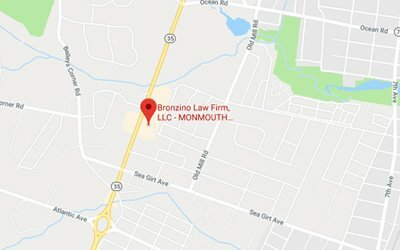 The experienced and qualified attorneys of The Bronzino Law Firm proudly serve local Ocean County and Monmouth County communities including Asbury Park, Neptune, Manasquan, Point Pleasant, Wall, Sea Girt, Spring Lake, and across Central New Jersey. Our unique combination of small firm size, experience, and record of success gives us the ability to provide high level legal solutions to our clients and their families. Please call our Brick or Sea Girt offices today by dialing (732) 812-3102 or feel free to contact us online for a free and confidential consultation with our legal team. A person who drives a vehicle heedlessly, in willful or wanton disregard of the rights or safety of others, in a manner so as to endanger, or be likely to endanger, a person or property, shall be guilty of reckless driving and be punished by imprisonment in the county or municipal jail for a period of not more than 60 days, or by a fine of not less than $ 50.00 or more than $ 200.00, or both. On a second or subsequent conviction he shall be punished by imprisonment for not more than three months, or by a fine of not less than $ 100 or more than $ 500, or both. 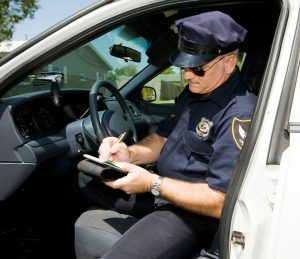 Five (5) New Jersey Motor Vehicle points on your license. Up to 60 days in the county jail. Up to a $200 fine. Up to three (3) months in the county jail. Our team at the Bronzino Law Firm, has extensive experience helping clients to effectively contest all manner of traffic and motor vehicle charges and violations. Serving the greater Ocean and Monmouth County area, the small size of our law firm permits us to provide the kind of highly personalized legal service that our clients want, while still charging fair and reasonable rates for our services. 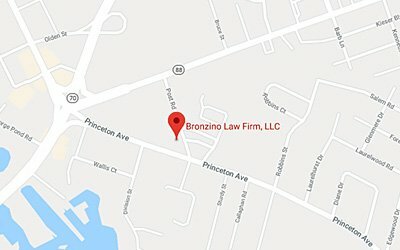 To speak with Attorney Peter J. Bronzino and our legal team today in a free and confidential consultation regarding the traffic violation you have been charged with. Please contact us online, or through either our Brick or our Sea Girt offices at (732) 812-3102 .